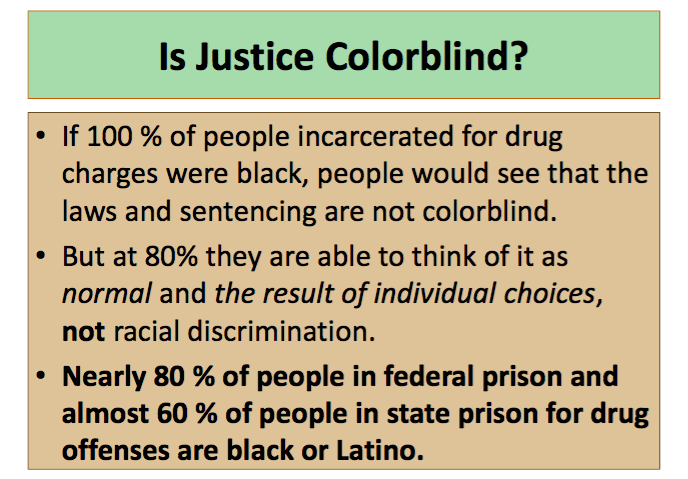 Mass incarceration, like earlier systems of racial control (slavery and Jim Crow), will only change as the result of mass social movements for racial justice. 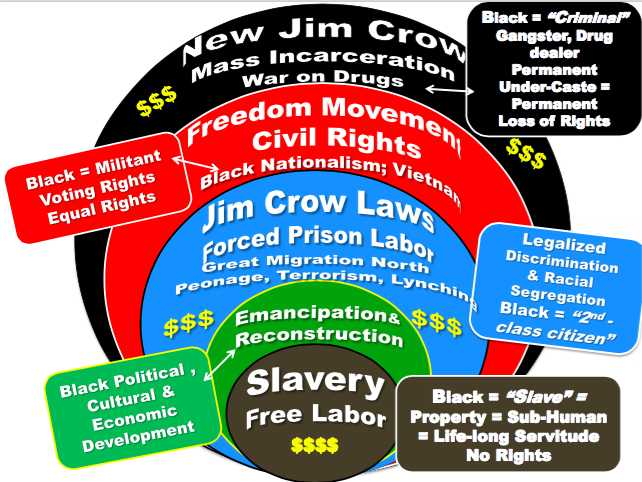 Since March 2016, the Multicultural Resource Center has convened a table of 30+ community organizations which developed a plan to study Michelle Alexander's book, The New Jim Crow: Mass Incarceration in the Age of Colorblindness, and ultimately take action to locally confront mass incarceration, one of the United States’ most urgent and devastating social crises. Over the course of 2016 and 2017, we held eight community events focused on capters of The New Jim Crow. Through these events, we engaged over 800 unique participants. Our effort also supported 35 book groups, 10 films and other community events, and distributed 2,000 copies of The New Jim Crow. Special thanks to funders: The PARK Foundation, Community Foundation, & Community Members. Video: November 14th: RoundUp, Locked Up: What's the Point of Knowing Your Rights? The Community Read is creating Community Read Tool Kits to distribute to local libraries, schools and other organizations. If you would like to donate your copy of The New Jim Crow to this effort, please drop it off at the Reference Desk of the Tompkins County Public Library, 101 East Green Street, Ithaca. 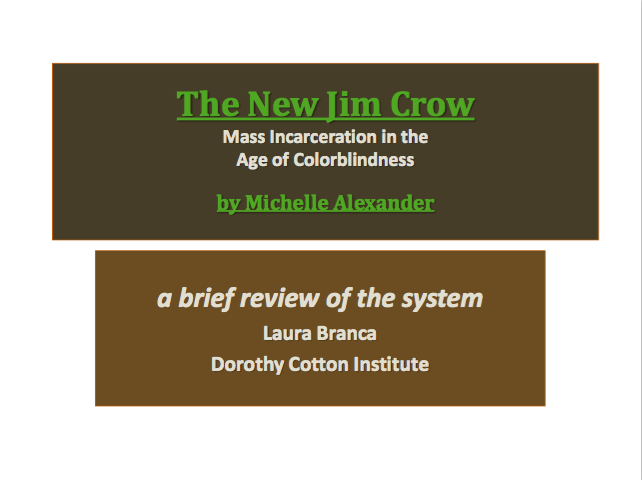 The library’s copies of the New Jim Crow have been donated to the Prisoner Express project. Use these files if you want to design a poster for your own book group. A community conversation to discuss and initiate next steps for addressing mass incarceration locally. Dawn Porter, award winning filmmaker and director of an upcoming documentary about The New Jim Crow and mass incarceration will speak on February 21, 2017 at 6:00pm at the State Theater of Ithaca for Cornell's annual MLK Commemorative Lecture. Porter's Film, Gideon's Army, which won the Sundance Film Festival Editing Award, the Tribeca All Access Creative Promise Award, and was nominated for an Emmy and an Independent Spirit Award, will be screened on February 18th at 2pm, at Cinemapolis. While Michelle Alexander, author of the The New Jim Crow, was forced to cancel her scheduled appearance for the MLK Commemorative Lecture, we are very excited to host Dawn Porter, whose work explores the topics raised in Michelle Alexander's work. 11/14 Press Advisory: "Roundup, Locked Up: What's the Point of Knowing Your Rights"
10/17 Press Release "From Chains to Prison Bars"